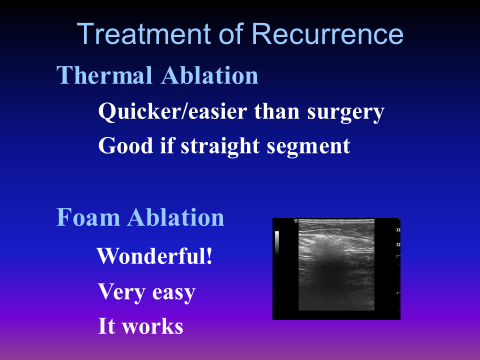 Safety of Ultrasound-Guided Foam Sclerotherapy with Physiological CO2-O2 Gas : Abstract 2/28/2009 Before documented, evidence based, RCT clinical studies were published. Helping physicians, health care providers understand why Morrison Vein Institute uses CO2/O2 Foam for our therapies. Purpose: Validate the safety profile of large volume ultrasound-guided foam sclerotherapy (UGFS) using Polidocanol and carbon dioxide/oxygen (CO2/O2) gas and compare with safety profiles of foam produced with air and pure CO2. Method: UGFS followed previous thermal ablation of the great saphenous vein (GSV) in 100 patients. The majority of patients were female (94%) and over 50 years old. Great saphenous veins, small saphenous veins (SSV) and their tributaries were treated in a variety of combinations using 2-48 ml of foam. Response data were captured immediately following and up to 24 hours post interventions. Logistic profile trials were tested. 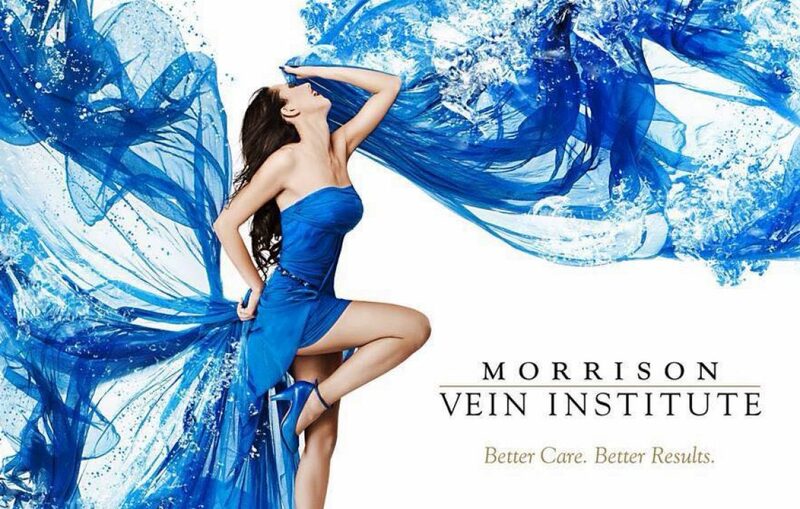 Safety, patient comfort and effective vein treatments have been a priority @MorrisonVein for 21 years. We are always researching to improve patient outcomes with the most modern, safe, efficient means available. Come see us, call for a free compression stocking fitting appointment and we will start with a video and conversation about your needs. 480-775-8460 1-866- GRT-LEGS toll free. Previous Compression socks and stockings can increase blood flow to restore “fresh legs”! Next Vein Specialist is a Phlebologist: Find out how many years and procedures?